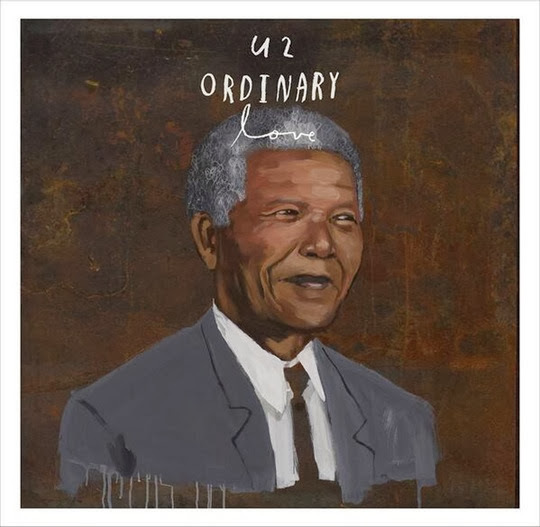 U2 have written and recorded a song titled "Ordinary Love" for the film, Mandela: Long Walk To Freedom. The film is based on Nelson Mandela's autobiography of the same name. U2 have been long term supporters of the people of South Africa, the break down of apartheid and of course Nelson Mandela so it's no surprise they've lent their song to the movie. U2 have written a couple of songs for Africa - Silver and Gold and very famously Where the Streets Have No Name. Of the song's meaning itself Bono noted "It's a plea for common decency among the people who've been oppressed and it's a plea for common decency in a marriage as it starts to fall apart. In 2014 U2 won their second Golden Globe for Best Original Song from a Motion Picture for this song. In 2003 they won for song "The Hands That Build America". Pretty stock standard, seems a left over from the sessions of the last album?